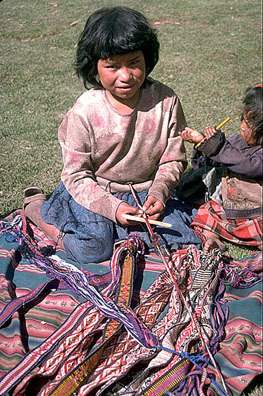 This young weaver has made a small backstrap “loom” so that she can make a narrow ribbon of weaving called a jakima (pronounced hakima). 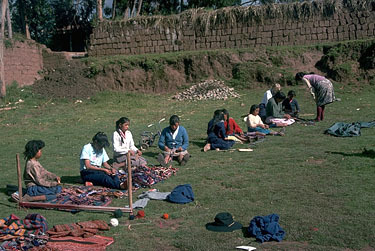 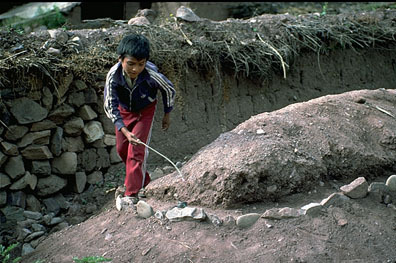 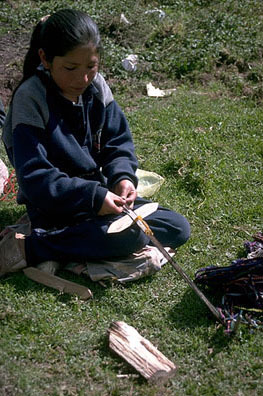 She has attached one end of her weaving to a nail pounded in the ground. 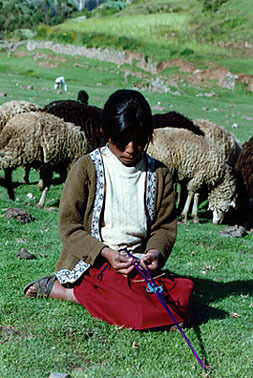 She tied the other end around her waist. 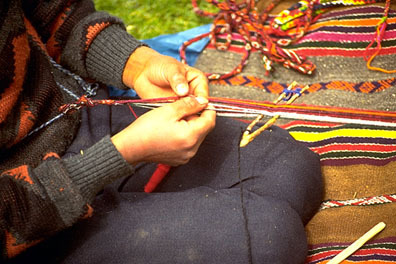 She uses the stick with triangular ends to hold and guide her pattern threads as she moves from line to line of weaving.